I am delighted and quite proud, to say that I now have my own Sponsors Mark registered with the Edinburgh Assay Office. To me, this means a great deal but I suspect you read that opening sentence and thought – “So what? Who cares? Does that matter? Is that important?” or something along those lines…hopefully this article helps to explain why it is important. A hallmark is a legal mark stamped on to articles of gold, silver, or platinum by the British assay offices, certifying the metals standard of purity. It’s impossible to tell the purity of metal by just looking at it. It has to be tested at an Assay Office. There are four Assay offices in the UK – London, Birmingham, Sheffield and Edinburgh. You won’t be surprised to know that I chose to register at the Edinburgh Assay Office. What is a Sponsor’s Mark? This is the part I got excited about! The Sponsors Mark is the stamp (or punch) that is unique and created for each individual person. There cannot be two the same in the world, or in history, so you are given a choice of letter combinations and various shapes to choose from for your unique sponsor’s mark. What is a fineness mark? Even precious metals are rarely used in their entirely pure form. They are alloyed (have other metals added) to make them more durable, workable and wearable. You cannot tell the fineness of a metal by sight, it needs to be Assayed (tested). This is what the assay office does – it tests the pieces by removing a tiny sliver of it to make sure the metal is the purity that the maker says it is, and the stamp then guarantees this. What is an Assay Office Mark? This mark tells you which of the four UK offices tested (assayed) and hallmarked the piece. What will my hallmark look like? My Sponsors mark is “IM” representing Impressive Memories and the letters are in a cartouche shape. This punch has now been made for me and can only be used at the Edinburgh Assay office on work that I submit, that has been made by me. Is silver Jewellery stamped with 925 hallmarked? No. Some jewellery is stamped with 925 which is the symbol used to represent sterling silver but this is NOT a hallmark, it is just a stamp. Anyone can stamp 925 onto metal but without the other Assay office stamps it is worthless and cannot be a sure sign of the metals purity. You can buy a 925 stamp on eBay and do this yourself…you cannot stamp a hallmark yourself!! That is the difference. My advice on 925 stamps is to consider the reputation of who is selling the jewellery. If I bought a ring on Ebay and it was costing 25p and being shipped from China – I’d suspect this was NOT an indication that the item was genuine sterling silver. If I was buying jewellery from a trusted and well-known supplier, I would be satisfied that it was more likely to be genuine sterling silver. 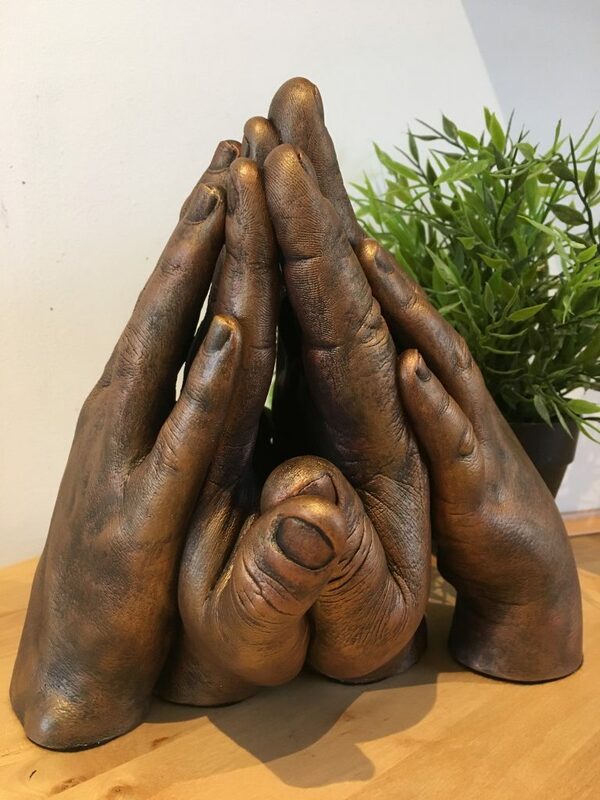 When people say they are allergic to silver, it is usually NOT the silver that irritates their skin, it is the additional copper. If you think you can’t wear silver, but wish you could…ask me about making your jewellery in 999 pure silver instead. Have I been breaking the law by NOT having a hallmark before now? Eek…if you’ve bought jewellery from me in years gone by, you’re maybe now wondering if it has been illegally sold to you??? Don’t panic!!! I haven’t been breaking the law…I promise!!! Not EVERYTHING needs a hallmark. As I make predominantly silver jewellery the law states that an item weighing less than 7.78g does not need to be hallmarked. (It’s less for gold, an item made in Gold over 1g must be hallmarked) My jewellery weighs less than 7.78g so there was no need for me to invest in my own hallmark. It cost me approximately £200 to register myself and have my sponsor punch made. Because the jewellery I made wasn’t over this weight limit and I don’t mass produce items it just wasn’t cost-effective, or necessary to do it. You might have read my recent blog called ‘Losing my mum’, where I shared my personal story about my grief journey and how I made myself a stacking necklace with four generations of fingerprints on silver teardrops, all soldered together onto one pendant. This piece exceeded the 7.78g limit. Legally it was OK as I wasn’t selling this, I made it for myself. This was when I decided to go ahead and register myself at the Edinburgh Assay Office. Will all jewellery I make now be hallmarked? The simple answer here is – No, for two reasons. It is not cost effective – yet!!! 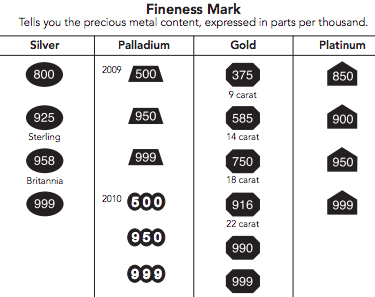 How much does hallmarking cost? 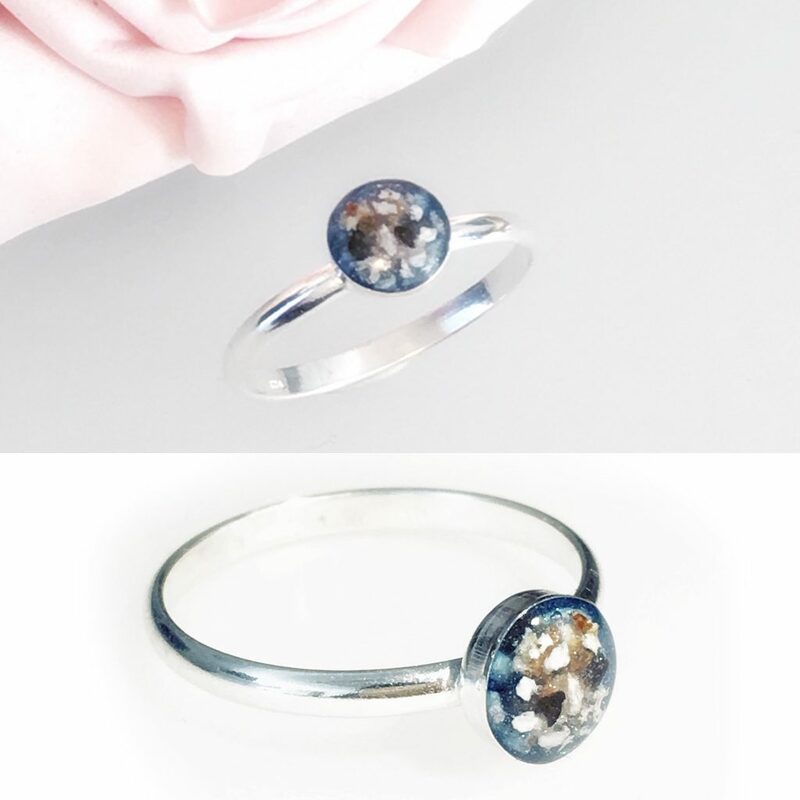 Due to the fact that all the jewellery I make is so unique and I don’t mass produce things, it makes the cost of hallmarking quite expensive. For one or two pieces to be hallmarked costs £15 with approx £15 spent to safely post and return it to and from the Assay office. Would you be willing to pay £30 more for your charm to be optionally hallmarked? Probably not. If, however, I send 26 or more items to be hallmarked the price drops down to 45p. Splitting the same £15 postage over the value of 26 items and adding 45p to a charm is not expensive. For now, it will only be offered on pieces that legally require it, and sadly it will cost the higher rate – but who knows what the future might bring??? As I said at the start, I am proud to now have my own sponsor mark and I am looking forward to having my own jewellery hallmarked with it. The first piece I send will be the necklace made in memory of my mum. One of the hardest parts of coping with bereavement is that life carries on. It has to. Of course, I wish I had done this before losing my mum, I reckon she would have been really proud to have seen it. Does that sound at all familiar? Is there something you’re putting off doing? Maybe you should just go do it right now? Hope You Have an Impressive Week! 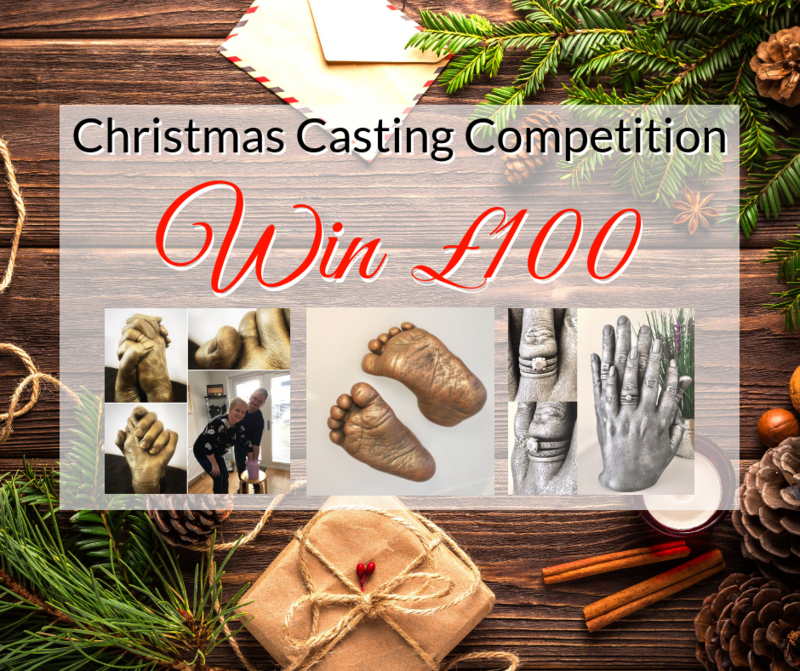 Would you like to win £100 towards a life cast of your choice this Christmas? 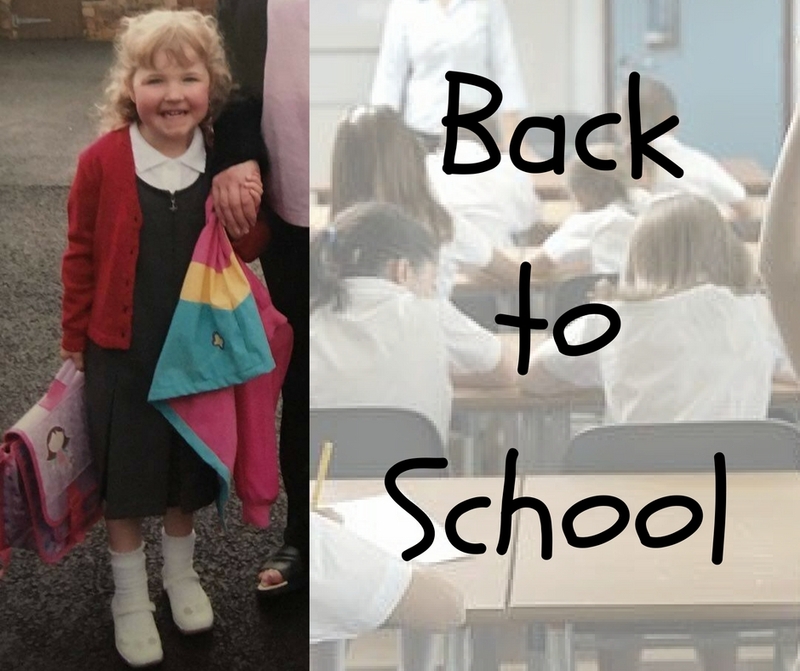 Is this their first day at school? This milestone needs to be remembered! It’s time to hold on to these memories.